Also: USPPA Instructor’s Clinic Feb 5-7! A Lake visible from Space! 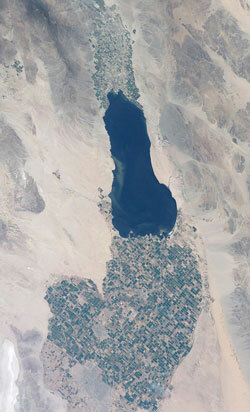 The Salton Sea is a unique environment to fly our microlight aircraft at. The air is often calm ALL DAY LONG! 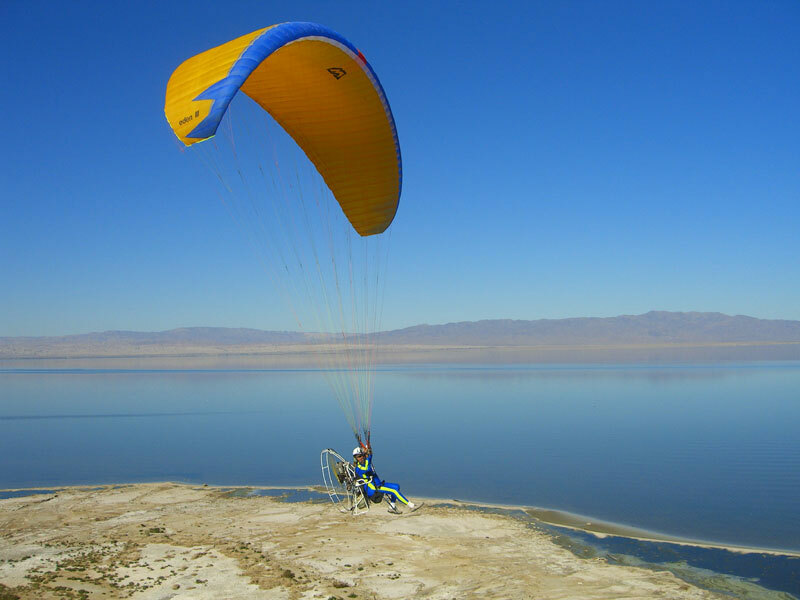 The lake calms the air, because it does not heat it – hence, excellent flying conditions. BEWARE – the thermals are only a short distance away from the edge of the lake during the mid day. Pilots from all over the country and even the world will be coming to fly here. This is an informal gathering of pilots with no official organizer. We will be flying here for a few days, then likely transitioning to Glamis Dunes for a few days before moving on to the Arizona Flying Circus on the following weekend. See our EVENTS for more information about PPG Fly-In’s around the country. We are planning an informal “gathering” of pilots at the same location as last year’s event. There is an RV park and lots of parking, but you will have to make your own arrangements. There is no organizer for this event, just a bunch of guys getting together to fly! • Smooth lake air, desert sun and all day flying at almost 200 ft below sea level!! • A steady off lake breeze making all day thermal-free flying possible. • Lots of places to explore from miles of beach to mountains and flat lands. • Several restaurants that welcome us and encourage pilots to fly in and eat. • Great weather averaging 75 degrees while much of the country is still under snow. • Cool nights, perfect for bonfires. • Nearly no neighbors to complain about the hundreds of paramotors flying around. The locations (such as the one in the photo to the left) used in previous years are not available for any launching or landing. Please do not attempt to fly from these areas as you may be charged with trespassing. 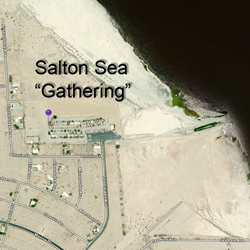 The location where we are planning to “gather” is shown on this MAP.